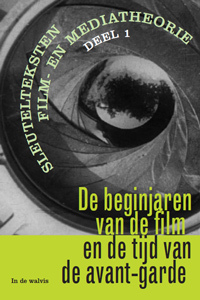 Book on the work of Grand Old Master of Dutch cinema Louis van Gasteren; illustrated and including 3 DVDs containing 7 films (with English subtitels). Published by Amsterdam University Press. The film titles are A New Village on New Land (1960), The House (1961), Hans Life Before Death (1983), A Matter of Level (1990), The Price of Survival (2003), Changing Tack (2009) and Nema Aviona Za Zagreb (2012). Louis van Gasteren (1922-2016) was one of the Netherlands’s most prolific filmmakers. He has made about eighty documentaries as well as two feature films, art works, and several publications. His film Now Do you get it Why I am Crying? (1969) played an important role in the recognition of the enduring psychological effects of war trauma. Hans Life Before Death (1983) presents a deeply empathic portrait of the post war generation of youth rebels in Amsterdam in the 1960s that addresses major existential questions. In his autobiographical film, Nema Aviona Za Zagreb (2012), Van Gasteren declares his passion for filming and his desire to register everything from both the outer world as well as from inner life. This book presents a journey through the rich audio-visual and artistic sources of the world of a filmmaker who, over the last sixty years, and long before we all became accustomed to carrying mobile cameras in our pockets, always had his camera on standby. Van Gasteren has been relentless in filming a range of topics, phenomena, and events of national and international scope and universal value. His camera eye was visionary, documenting not only the tumultuous happenings of the different presents that he witnessed, but also the return of the past and anticipation of the future. His work demonstrates a fascination for technology, a deep interest in politics, and a continuous concern for the traumatic effects of war and the passage of time itself; always looking for new doors of perception, always returning to his home in Amsterdam, always departing again to new or recurring points of interest. Filming for the Future explores the most salient features of a wide-ranging and vital oeuvre that becomes ever more amazing and important as time goes by. 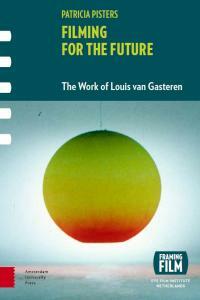 Van Gasteren’s work is an invaluable source of historical documentation and percipient cultural analysis made by an adventurous ‘participating observer’ of the twentieth century that is worthwhile (re)discovering in and for the twenty-first century. On the occasion of the passing away of Louis van Gasteren on 10 May 2016, the EYE film institute organized a special screening of Nema Aviona za Zagreb. The introduction (in Dutch) to this film can be read on my blog entree here. Filming for the Future was awarded the Louis Hartlooper Prize for Best Film Publication 2016. 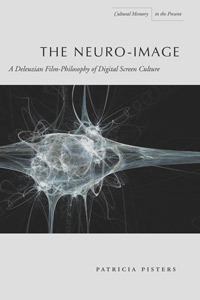 Patricia Pisters, The Neuro-Image: A Deleuzian Filmphilosophy of Digital Screen Culture (Stanford: Stanford University Press, 2012) 370 pp. 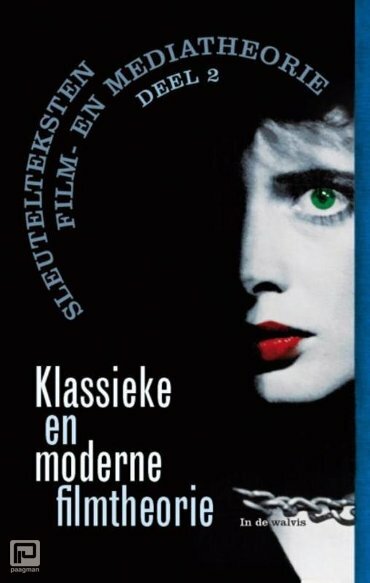 This book approaches 21st-century globalized cinema through the new concept of the “neuro-image.” Pisters begins with the premise that today’s viewers no longer look through a character's eyes; instead, they move through his or her brain or mental landscape. 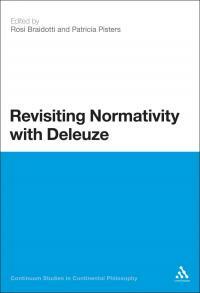 Her book elaborates the threefold nature of the neuro-image by drawing on research from three domains—Deleuzian (schizoanalytic) philosophy, digital networked screen culture, and neuroscientific research—and is accordingly divided into three parts. The first reads the brain as screen, or “neuroscreen,” thereby grounding contemporary cinema in our bodily materiality. 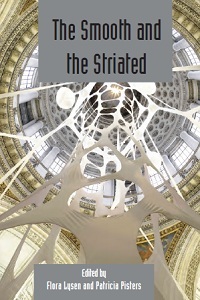 It investigates clinical and critical aspects of schizophrenia alongside contemporary films that deal with the same disease, elaborates connections between film theory and cognitive neuroscience, and reflects on the omnipresence of surveillance. Next, the book explores neuro-images from a philosophical point of view, paying less attention to science and more to their ontological, epistemological, and aesthetic dimensions. Individual chapters deal with Bergson, Deleuze and questions of time, Hume’s skeptical epistemology and the increasing blurring of the false and the real, and the affective powers of what has come to be called the neo- or digital baroque. The final section of the book is dedicated to the political and ethical aspects of the neuro-image, including the production of historical memory, the ways in which the neuro-image can impact politics, and the multiplication of screens in the context of war and war films. Pisters leaves us with an understanding of why it is that the neuro-image has emerged in our present moment.